Rakniran Muadransarakam faced a significant step up in opposition when he faced Tanzanian Hashimu Zuberi in Maha Sarakham this afternoon. Both fighters brought undefeated records into the ring with them but the Thai demonstrated his superiority to claim a one sided decision and the vacant WBO Oriental 112 lbs belt. In the first round Rakniran set out his stall to attack and looked to land big left hands but was frequently beaten to the punch by the Tanzanian who caught him clean with a left hook to the head and a straight right. It proved to be Zuberi’s best round of the fight as from the second stanza onwards the Thai was firmly in control. What Rakniran might lack in finesse me more than made up for in aggression and work rate, and his constant pressure appeared to be wearing Zuberi down in rounds three and four. The Thai repeatedly walked him down and then went to work with hard shots to the body and head. This pattern continued for the remainder of the fight with Rakniran regularly landing left hooks to the body and head. On the occasions that Zuberi did elect to stand his ground and go toe to toe with the Thai in the middle of the ring he was encumbered by a tendency to slap with his punches instead of using the knuckle. Zuberi did enjoy some success at the start of the ninth round but he lacked the power to trouble Rakniran who responded to a couple of flush shots upstairs with a broad grin. 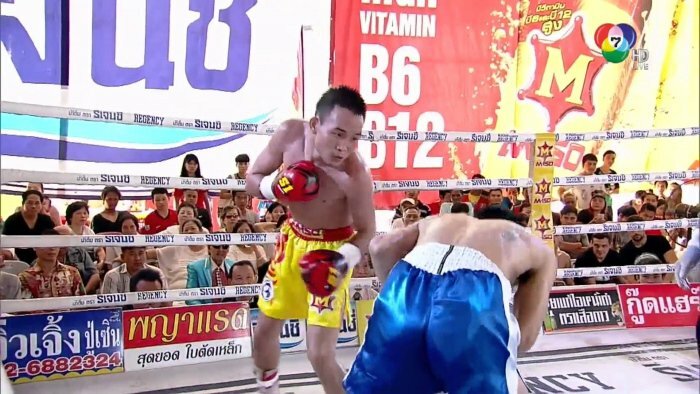 There was the odd moment of entertaining action as the two fighters went toe to toe in the centre of the ring but ultimately it proved to be an easy afternoon’s work for the Thai. The scorecards read 120-108, 120-108 and 119-109 in favour of Rakniran who improves to 11-0 and wins the first title of his career. Zuberi drops to 9-1 after suffering a first ever defeat, given his obvious limitations the Tanzanian has done well to make it this far without losing a fight. Earlier in the afternoon former world title challenger Chonlatarn Piriyapinyo (60-2) cruised to a six rounds decision win over Amos Mwamakula (12-6-2). It had the makings of a competitive matchup but the Thai was simply too good for the Tanzanian who spent six rounds frantically backtracking.